3 Interesting Facts About Wellington You Need to Know! When travelling to a different city, it is important that you research thoroughly about it first. Make sure that you do know the basic things, including the rules in a certain place to prevent any hassle while you are on a vacation with family or friends, the culture of the country you are visiting, and even the weather or climate so you know what to pack. One of the most visited travel destinations in the world is New Zealand. With its breathtaking views, great-tasting food and wine, pulsating cities, and diverse culture, it is no wonder that it is a favourite country to travel to by many. Its capital, Wellington, is also a great city to spend holidays with your loved ones. 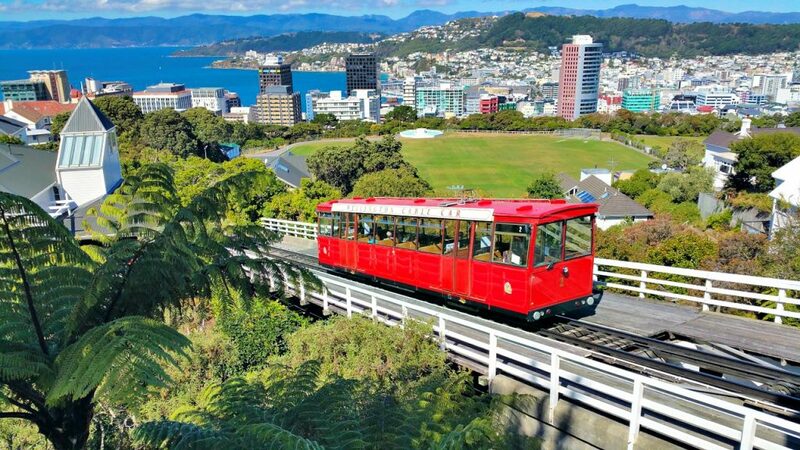 Situated near the North Island’s southernmost part on the Cook Strait, Wellington is a city filled with tons of things to do. It is home to bountiful beaches, stunning scenery, impressive tourist attractions, gorgeous harbor, great nightlife, and delectable food. A car hire in the city of Wellington is available to let you explore the region conveniently and hassle-free. There is nothing to worry about anything once you rent a car to tour you around this vibrant city. You just grab a car, prepare your map, and you’re ready to explore! Wellington is one of the world’s best coffee region. All coffee lovers will be delighted to know that Wellington has one of the greatest coffees in the world. You will see numerous coffee shops and around 20 roasteries around the city. Flight Coffee’s The Hangar, Lamason Brew Bar, and Memphis Belle are just a few of the favourite cafes in Wellington. You are sure to taste a world-class coffee when you are here. Wellington has the top quality of life in New Zealand. According to the Nielsen Quality of Life survey in 2014, Wellington ranked the highest in regards to overall quality of life. It was reported that 89% of the Wellingtonians has a good or better quality of life, making their city an ideal place to live in and travel to by visitors. Additionally, security is very high, which does not make anyone worry about their safety when they are in this city. Wellington holds three of New Zealand’s most artistic festivals. First, the stirring NZ Festival, which is held every two years in the city, is a multi-arts show that brings out both local and international talents. Then, the Visa Wellington On a Plate is celebrated every August. It is a yearly culinary festival that showcases one-of-a-kind dining events, from burgers to cocktails, you will definitely enjoy this festival. And lastly, the World of WearableArt Awards Show is all about art, dance, fashion, and theatre. There are a lot of things you need to learn about Wellington. Whenever you travel to a new place, you have to search some information about it prior to your arrival. So, if you are traveling to Wellington, you must remember the things mentioned above. These things will make you enjoy and appreciate this city. Have you ever been to Wellington? Would love to visit New Zealand at some point. It looks beautiful! Thanks for all the facts,interesting !!! I’ve never been to new Zealand , but I really would love to go, the on the plate festival sounds fabulous. I have been to New Zealand and had a great trip. Spent a short day in Wellington. The photo brought back some great memories. Thank you for that.